We are now well into 2019, and new changes to Medicare this year feel more concrete. Approved changes to Medicare came by-way of the Bipartisan Budget Act of 2018 and have already taken effect to inside the national healthcare system that millions of seniors rely on. While many changes, big and small, came in as part of the legislation, Medicare Advantage plans are seeing the biggest impact. With Medicare Advantage plans having the most notable changes, we will take a closer look at those as well as review a summary of other notable changes. Since inception, Medicare Advantage plans have been federally mandated to offer benefits that are equal to or better than Original Medicare. Insurance companies are always competing to make their plan more appealing than Original Medicare alone. They do this by including perks such as dental coverage, vision coverage, gym memberships, and more. Though, the perks they can offer are still regulated. As of this year (2019), the list of perks that insurance carriers can offer is growing. With that said, just because an additional benefit is legally allowed to be offered by a plan, does not mean all plans will implement or offer these additional perks. Insurance carriers save money when beneficiaries have a lower risk of health issues or accidents. The coverage of home safety devices by the carriers is an effort to reduce falls and trips. Seniors falling in their homes can lead to more than just a trip to the emergency room; falls are often the beginning of many other health issues. Bathroom handrails, wheelchair ramps, and reaching devices are some of the safety devices that some Advantage plans will designate an allotted amount to each year. 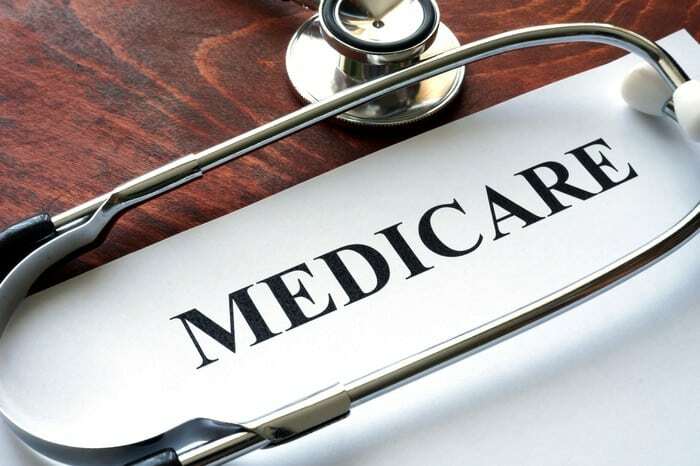 As of this year, some Medicare Advantage plans will cover transportation to and from medical visits, pharmacies, and other approved services for chronically ill plan members. Until this year, this type of coverage was only covered for those that were eligible for both Medicare and Medicaid. The transportation benefits on some of these plans will cover a certain number of one-way trips per year through traditional taxi services and recent options like Uber and Lyft. Services like housekeeping services, meal delivery, and in-home aides will now be offered on some Medicare Advantage plans. For those that need these services, there will be a cap on these support services just like other benefits on the plans. A benefit that has long been requested is caregiver support. This benefit will cover services such as adult daycare, respite care, and caregiver training. These services will be offered on specific Medicare Advantage plans and will have a yearly limit. New this year is a benefit that will help those in the senior population trying to break nicotine addiction. This will cover the cost of nicotine patches, nicotine gum, and other treatment to help beneficiaries ditch tobacco for good. Donut Hole Shrinks – Until now, beneficiaries would pay 44% for generic prescriptions and 35% for brand-name prescriptions in the donut hole. Now, beneficiaries will only pay 37% for generic prescriptions and 25% for brand-name prescriptions while in the donut hole. Cost Plans Go Away – Unless you were living in a rural area, you likely did not have a Cost Plan. Now that these plans are eliminated, the beneficiaries that still had them were able to transfer to another option. Open Enrollment Period Returns – Many people select Medicare Advantage plans during the AEP that they realize shortly after, are not a good fit. In this time (January 1st – March 31st) beneficiaries can get out of a plan that does not work for them. Medicare Created an App – Many beneficiaries have voiced their desire for a way to know if a particular healthcare service is covered by Medicare, easily. Medicare answered in way of a phone app that lets users quickly search a service and whether it’s covered. As we continue through 2019, it is important to know the ins and outs of your Medicare plan. Whether you decide to be your own advocate, or get an advocate on your side, don’t let your health care sit on cruise control. Stay up-to-date and get the most out of your Medicare coverage. Danielle K Roberts is a Medicare insurance expert and co-founder at Boomer Benefits, where she and her team help thousands of baby boomers with their Medicare supplemental insurance every year. Via online webinars and video email courses, she has taught the basics of Medicare to new beneficiaries across 47 states.